Byrd's Auto Service has highly-trained technicians on staff who have years of experience working on an array of Ford vehicles. The staff we have is also friendly and eager to answer your questions or concerns about what's wrong with your Ford vehicle. 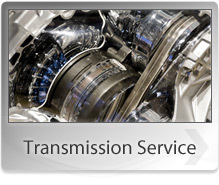 Any problem, from suspension to engine or transmission will be looked at by trained staff, diagnosed and then repaired. We know exactly what we're doing to your Ford vehicle, because of all the Ford's we have worked on and the strong heritage. The Ford Motor Company has offered a wide range of cars over the company's history. From minivans to crossovers and SUVs, Ford has a vehicle suited for just about anyone, and Byrd's Auto Service in Raleigh, NC is happy to provide service for them. Their two most famous vehicles - the F-150 pickup truck and the Mustang sports car - are both American icons that set the standards in trucking and American muscle cars. Ford vehicles are known for their simple reliability, but sometimes problems do occur. No car is perfect. Ford vehicles can suffer from suspension, engine and transmission problems depending on the year and model of the vehicle. When things go wrong, though, you have nothing to worry about if you bring your Ford to Byrd's Auto Service. 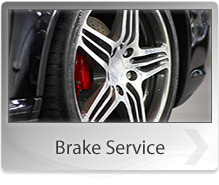 We here at Byrd's Auto Service offer competitive repair and maintenance prices to work on Ford vehicles. And we pride ourselves on working quickly while correctly fixing your car the first time so you can get on your way. If you'd like to schedule an appointment, you can call us at 919-779-2689. If you're in the area of our service center, you can also stop at our location. Our staff is waiting to help.